So, the other morning while she was at school, I dumped out all the bands, and spent an hour or so sorting colors and putting them in their proper slots in the case. After that, all was well in the world again. The sun came out, a rainbow burst out of the sky, and a million butterflies fluttered by. When she came home from school, I showed her what I had done. She was not impressed. I told her that if she could keep the bands organized I would buy her new ones. What's a little bribery amongst family. I feel sorry for those that are organizationally challenged. They must face great adversity in their lives. I wish I could buy them all a label gun and show them the way of true happiness. Alas, some people are too hard to change. My son has shown some signs of OCD. He can not stand to have doors or drawers open. He must close them all. I think I see some promise there. Perhaps I can teach him about the true meaning of organization. We shall see. For those of you that are still here reading and understand my frustrations, I offer you a little treat. This is a result of the crazy ideas that sometimes float around in my head when I am not organizing. I bought a bag of Brachs Conversation Hearts. These little hearts have different fruity flavors. They don't seem as chalky as the Necco brand. You can smell the fruitiness when you chop them up. Now a word of caution here. These little hearts are a bit tougher to chop than I thought. First I tried my coffee bean grinder, but I ended up breaking the blade. Then I tried my little food processor, but it wasn't powerful enough. The Blendtec worked fine to turn these into a fine powder. Although next time I think I will crush them by hand with a rolling pin first before putting them in the machine, to help things along. The Nilla wafers were a breeze to chop. 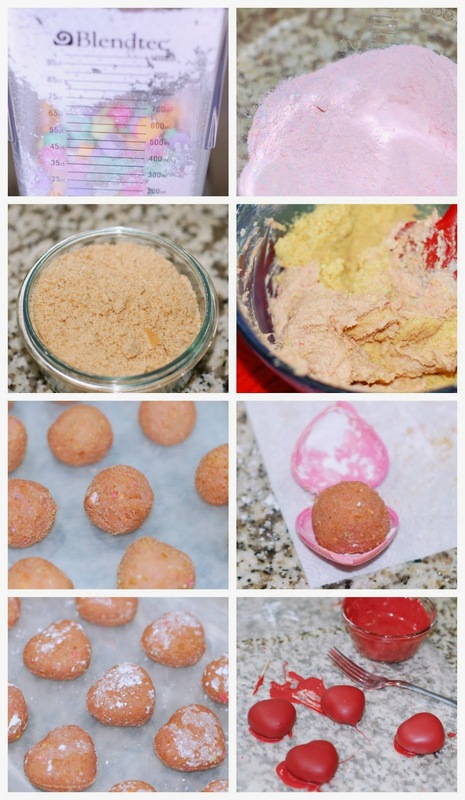 I mixed all the ingredients by hand then used a cookie scoop to measure out the portions and rolled them into balls. Of course, then I remembered that I have a heart shaped cake pop mold so I turned all the balls into hearts. The size portion was pretty much the same. I bought some Wilton's candy melt to dip them in. Did you know they have Red Velvet candy melt? I had to try it. I also bought bright white and bright pink which are a regular vanilla flavor. These disposable candy decorating bags are always good to have on hand, but you can also use a Ziplock bag. You can choose to buy candy melt the colors of the conversation hearts, but I like these colors. 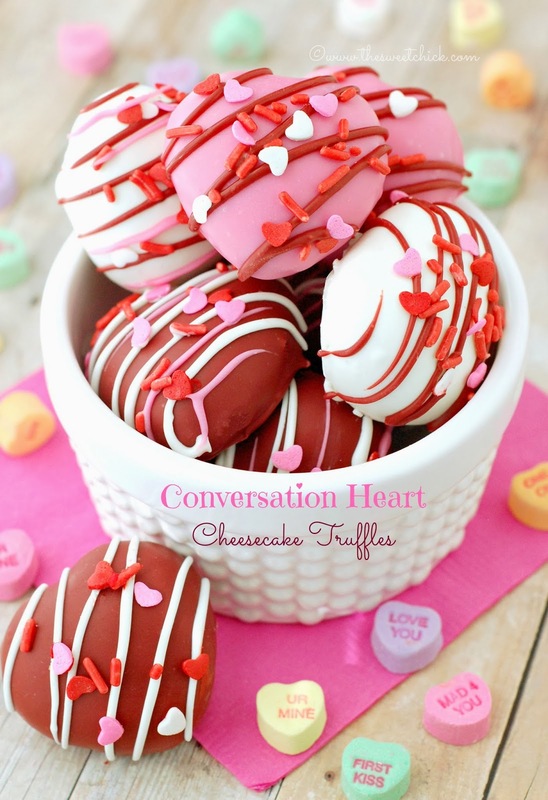 I think I like the red velvet most of all with these Conversation Heart Cheesecake Truffles. The taste added more pop to the filling than just the regular vanilla. I hope Wilton carries this flavor again next year. In a medium bowl, mix together the cream cheese, crushed candy, and crushed wafers until well combined. 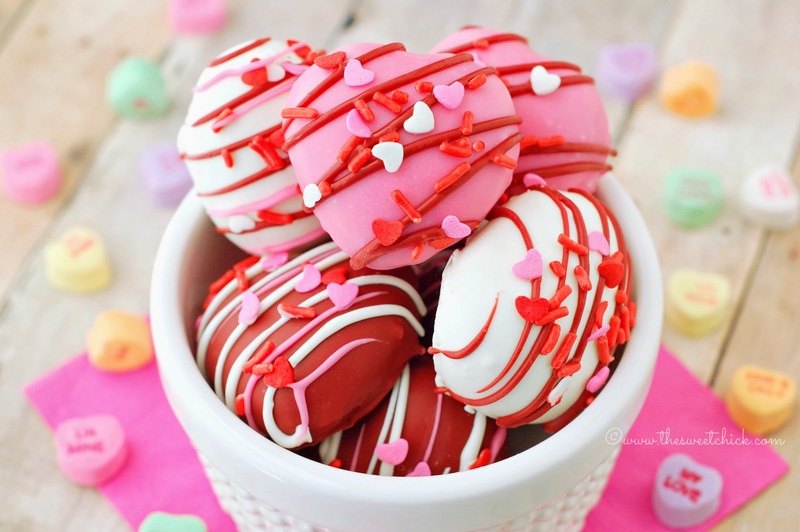 With a cookie scoop, measure out each truffle and roll it into a ball, or press it into a heart shaped cake pop mold. Note: If you are shaping them into balls and the mixture is too sticky, add a little bit of leftover crushed wafers to your hands. 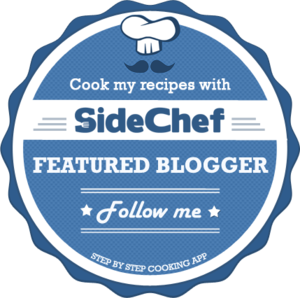 If you are using the mold, add a little powdered sugar to keep the mixture from sticking to the mold. Place truffles on a waxed paper lined air tight container and place in freezer for at least an hour or overnight. When you are ready to decorate, pick which color candy melt will be your base color and melt one cup of wafers in the microwave according to the instructions on the package. Remove the truffles from the freezer and dip each one into candy coating mixture until all covered. I use a fork. Once covered, remove and softly tap until excess candy melt falls off. Then place truffles on a clean sheet of wax paper. I use a toothpick to slide them off the fork. Candy melt should harden fairly quickly. Note: If melted candy is too thick for dipping add a teaspoon at a time of vegetable shortening until you get the right consistency. Next prepare the candy melt color you are using for the drizzle, melting one cup of wafers. Fill a candy decorating bag or a Ziplock bag with the melted candy and snip off the end. Drizzle the melted candy over the tops of the truffles. If you are adding sprinkles, do so quickly before the candy melt hardens. When all truffles are done, keep them refrigerated. Enjoy! And if you only eat one it will be less calories than a slice of real cheesecake! That's what I tell myself. Thanks for stopping by Jessica and for pinning! Oh my these are adorable! Can't wait to give these a try! Thanks for sharing at The Weekend Retreat, Hope to see you back on Thursday!